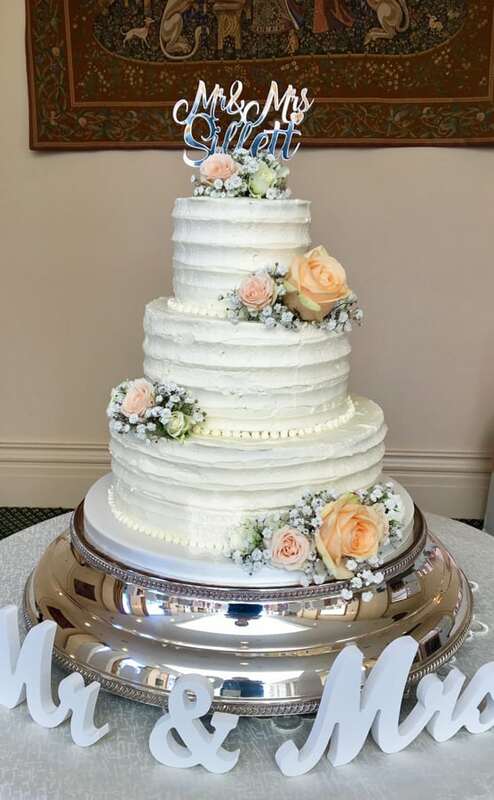 I was back at The Lawn again, this time to set up Sharleen and Sean’s 3 tier buttercream wedding cake which I decorated with pretty peach and ivory roses and gyp, provided by their florist. Scrummy flavours of strawberry & Champagne, chocolate fudge cake and salted caramel; I also baked them an extra salted caramel cutting cake just for good measure. Wishing you both lots and lots of congratulations and happiness for your future together!